Compression • Extension • Torsion and Double Torsion. D.R. 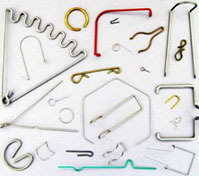 Templeman Company is a precision manufacturer of custom springs, rings, and wire forms for leading multinational OEM firms including Bard Healthcare,Boston Scientific, GE, Honeywell, ITW, Parker Hannifin, Philips, Rubbermaid, and Tyco, as well as many midsize manufacturing companies. We are coiling and wire forming specialists who have been providing unbeatable value through high-level design engineering and production for more than 70 years. We serve a wide range of industries including Medical Devices, Electronic Devices and Switches, Security and Fire Protection Devices, Hardware and Tools, Consumer Products, and so much more. 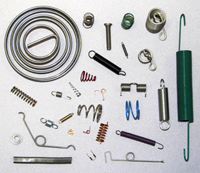 In addition to our custom manufacturing capabilities, we offer an extensive line of stock springs. You can search and buy these springs through our online catalogs by clicking the Stock Springs tab in the navigation bar above. We developed the online stock springs catalogs for engineers who are looking to get “something close” in order to test out an idea or build a prototype. 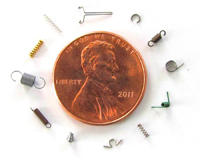 Once your idea is more fully developed, then a custom spring designed to economically meet your exact requirements may be the next logical step. The D.R. 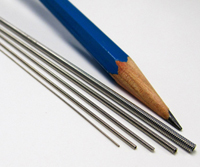 Templeman Company is committed to being your supplier of choice for precision springs and wire forms. From concept to design to production, our experienced engineers and highly skilled spring manufacturers will work with you to develop the best, most cost-effective design to meet your requirements. We will put our combination of experience, skills, specialized equipment and uncompromising quality to work for you to assure optimum results. Contact us today for a consultation or quote on your next job. D.R. Templeman Company has been a supplier of ours for over 20 years. Throughout those 20 years they have provided quality components to feed our production lines and have also provided technical support for our development projects. Combine quality performance with the people at D.R. Templeman being a pleasure to work with and you’ll understand why our association has lasted for the long period it has.